• A comprehensive series of Spelling Workbooks in Irish presented in full colour for each class from Second to Sixth. • Linked to Bun go Barr – or can be used independently. 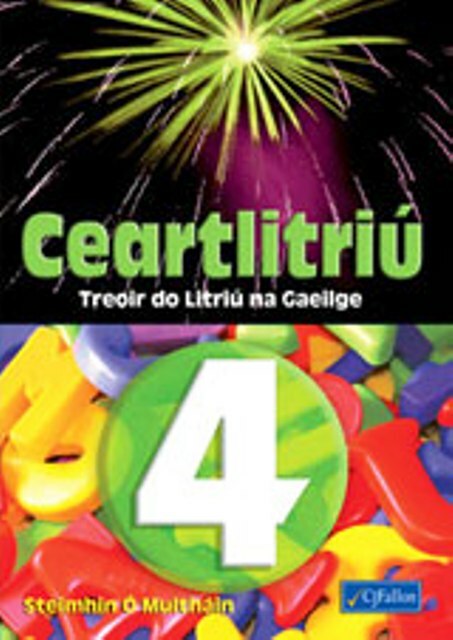 • An exciting series of spelling books in Irish from Second to Sixth Class. • Each of the 10 themes of the revised curriculum feature twice in every book. • Each new word is introduced pictorially in full colour. • Key words in sentence formation used throughout series. • Wide variety of activities in each chapter. • There is a monthly revision section after every four chapters. • Facility at back of each book to record tests. • The series can be used independently or can act as a revision of Bun go Barr vocabulary. • Styled on our best-selling English spelling series, Spellbound.